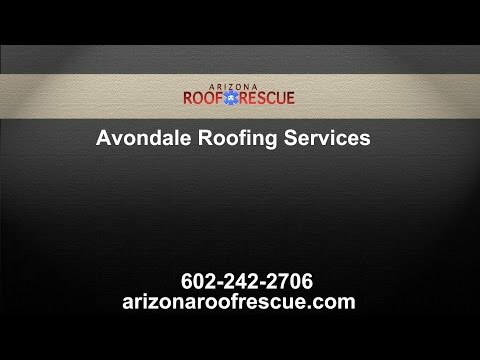 Arizona Roof Rescue » Blog » 2016 – Another Strong Year For Avondale Area Green And Cool Roofs! 2016 – Another Strong Year For Avondale Area Green And Cool Roofs! It is no secret that green and money saving building materials have experienced a massive surge over the course of the last decade. And rightfully so. Aside from saving you a bundle of money down the road via energy savings, lower heating and cooling bills and the like, they are also great for the environment. With these great benefits it is no surprise that they have developed the stepchild of sorts of the roofing industry and found their rightful spot in the roofing world. While about 15 years ago commercial green roofs only made up about 2% of all roofs, while 5 years ago it had already grown to 40%. That is an incredible success for the green roofing industry. The U.S. Green Building Council (USGBC) estimates that by 2016 roughly half of all new commercial roof constructions will be comprised of green roofs. If you are looking to have a new Avondale roof installed in 2016, you have several options available to you. According to Energy.Gov a cool roof is a roof that is created in a manner that reflects more sunlight while absorbing less heat than a standard roof. This is generally accomplished with reflective paint, reflective tiles, sheet covering, foam, rubber and others. You should ask your Avondale roofing contractor about which material is suitable for your commercial or residential roofing project and which will give you the desired outcome. If your cool roof is done right and by a professional roofing company, the result is a roof that can be up to 50F cooler than a darker standard roof which can lead up to energy savings of 15-20%. Now that is a lot of money saved. Aside from money saved, you will also experience a huge temperature difference for non-air conditioned areas. An added plus is that by being less hot, your roof will last you longer and require less maintenance and Avondale roof repair, because it is not as easily damaged by the extremely hot Arizona sun. Cool roofs can also be green roofs, meaning they can be great for the environment. In urban areas, for example they can have a positive impact on the urban heat island effect. The lower temperature on the roofs can lower the ambient temperature which can lead to a decrease in peak energy usage, and thus power plant emissions such as carbon dioxide, sulfur dioxide and other harmful emissions. Commercial roofs are generally larger than residential homes and thus benefit the most from a “cool roof makeover”. In Arizona, much like elsewhere, commercial roofs are often flat or slightly sloped. Single-Ply Membrane roofs which are pre-made-sheets that are put on the roof, attached with an adhesive and then held in place by pavers, rocks or gravel. To make them cool, they can be coated with a white or reflective paint. Built-Ups are composed of a base sheet, reinforcement layers made up of fabric is a dark protective top layer. To make these types of roofs cool roofs, your roofing professional can use a bright layer instead of the dark, use cool coating or change the gravel to reflective marble chips, for example. Modified Bitumen are created from several layers of plastic or rubber and are reinforced with fabric. The best way to make them cool roofs is if the manufacturer already adds a cool coating to them at the factory. Tile roofs often already are pretty “cool” by themselves, but can be coated with a reflective coat or other surface treatment to achieve cool roof status. If you are in the market for a new Avondale shingle roof this year, make sure you purchase shingles with specially coated granules or shingles that are made from a light and reflective material. Ask your shingle roofing contractor for advice. Metal Roofing is suitable for both flat and sloped roofs and while they are great at reflecting they also trap heat and really don’t cool the building down all that much. But with specialty coats, your metal roof can do both; reflect and reduce the temperature. Green Roofs are kind of like a garden on top of your roof, which is already cool in itself. Green roofs consist of a waterproofing membrane, followed by soil and then some green vegetation on top of it. Of course, to ensure that you green roof reaps maximum benefit and won’t cause more harm than good, your roof will need to be installed by an experienced roofing contractor. You will find the biggest impact of green roofs in urban settings. By adding vegetation to the roof the roof is cooler, it decreases the urban heat island effect, reduces power usage, reduces flooding because green roofs are able to absorb more water during a heavy rain than a regular roof would, and they improve the air quality. And don’t worry, they have a really good life expectancy. Some green roof from the 1930s are still around today. On the wings of the cool and green roof trend we will also experience and continued increase of sustainable roof, meaning roofs that are made with materials that depend less on the use of natural resource. Glass, steel and concrete with additives can help to reduce waste significantly. Other emerging building trends that go beyond the roofing process include the construction of zero energy buildings and the increasing popularity of LED lighting (which can yield energy savings of up to 50%). Business and homeowners in Arizona have caught on to the many benefits of having their traditional roof made cool or have a cool roof installed right of the bat. Regardless if you are interested in having your roof turned cool or are in the market for a new roof install, our experienced roofing professionals can assist you in selecting the options that are right for you. Arizona Roof Rescue is your top choice for all roofing projects. Contact us today to learn more and to discuss your next roofing project. Home » Blog » 2016 – Another Strong Year For Avondale Area Green And Cool Roofs!